Set in a perched village of the French Alps, between a roaring river and the moonlight, a man dressed in a stripped tunic seeks refuge from his dying past. Instead, he encounters an iconoclastic set of characters that offer him love, instigate fear, explore the meaning of language, and elicit revenge. Following the musical structure of the 17th-century fugue, the narrative voices succeed each other until coming together in a polyphonic search for light among the darkness of their origins. The strange and unexpected behaviors of the four main characters reveal the illusory idea of trying to apprehend one’s identity. Imena, a student of perfumery, arrives in Marrakech in an attempt to free herself from the overbearing intensity of her boyfriend Patricio, a philosophy professor at l’Université Paris-Sorbonne. She takes residence behind the red door of an allegorical hotel whose attendant, the striped tunic, officiates life under an aura of mysticism and danger. René, Patricio’s junior colleague, decides to leave for Guadeloupe in search for his gender identity, a painful and transformative search that delivers him beyond himself. After Imena secludes herself in her hotel room trying to complete her ultimate perfume creation, the four individual lives finally coalesce in the courtyard where four flowering orange trees witness the thaumaturgy. 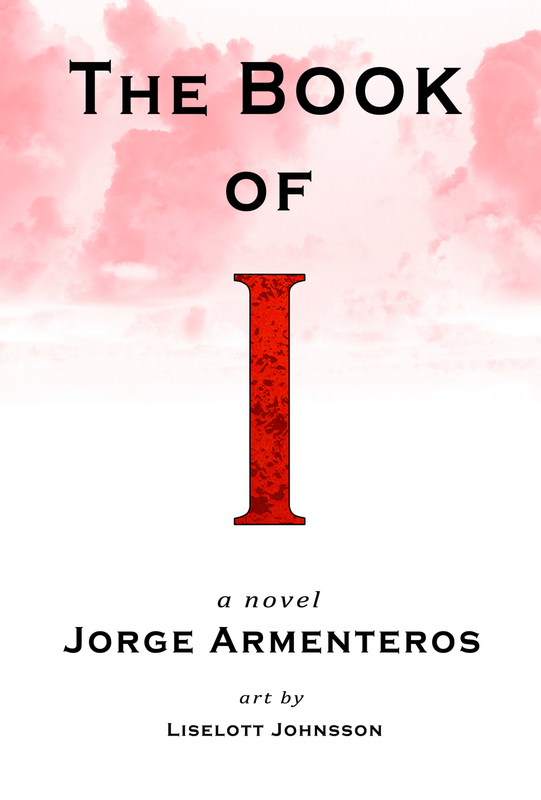 The Book of I is the story of Teaston, a painter struggling with schizophrenia, who finds himself at the edge of a cliff, at the edge of his life. The novel explores our fragmented human nature through the distorted lens that Teaston provides. Some characters are undoubtedly real while others become figments of Teaston’s imagination, yet others defy authorial certitude by remaining in a sort of reality twilight. As metaphorical vehicles, the themes and characters in the novel raise questions about the nature of identity. And from under a chorus/amalgam of voices and delusions, Teaston raises to discover what it means to be a person, what makes us human. The narrative is undoubtedly influenced by the formal spontaneity of Cortazar’s Hopscotch, the shifting levels of reality of Kafka’s The Trial, the iconoclastic characterization of Bolaño’s The Savage Detectives, and the interiority and lyricism of Rilke’s The Notebooks of Malte Laurids Brigge. The Book of I received Honorable Mention in the 2015 ILBA for Best Novel in the popular fiction category. "A startling vision of the world from the perspective of a schizophrenic painter, a man balanced on the edge of his self and his life, and on the way to a crisis. This is a finely crafted and clearheaded book, at once sympathetic and unwilling to give any alibis, and well worth the read." --Brian Evenson, author of Immobility, Last Days, and The Open Curtain, is Royce Professor of Teaching Excellence in Brown University's Literary Arts Department. Published by JADED IBIS PRESS with original art by LISELOTT JOHNSSON and music by SARAH WALLIN HUFF.